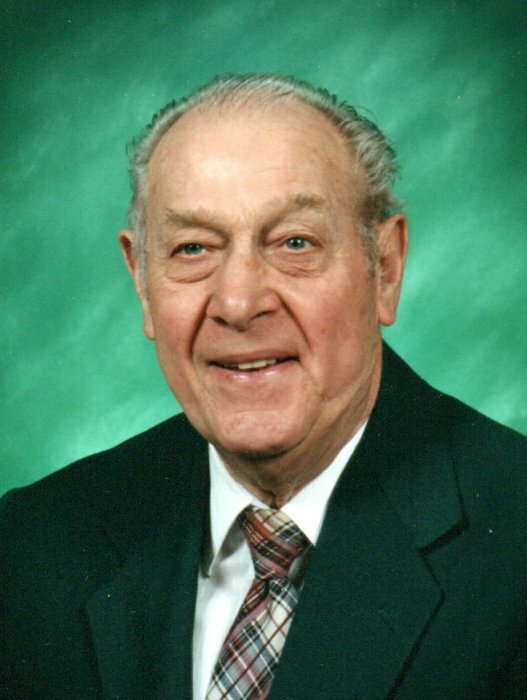 Milton "Gus" Miller, age 92 of Navarre, passed away Monday, February 4, 2019 at his home surrounded by his family. He was born April 27, 1926, in Massillon, the son of the late Montford and Violet (Eby) Miller. He was a WWII veteran serving in the Navy. Gus retired in 1986 from R.G. Drage Vocational School after 9 years of service, he was also an auto mechanics teacher for Akron Public Schools 1958 to 1977; he previously was an owner and mechanic of Miller Brothers Auto Service 1946 to 1958. He was a member of Stanwood Community Church; Tuslaw Lions Club, Charter President, Iota Lambda Signa fraternity - Kent State University, Antique Automobile Club of America, Buick Club of America, and 1953-54 Buick Skylark Club of America. Gus is survived by daughter and son-in-law, Cheri and David Kress; two grandsons, Christopher (Erin) Kress of Charlotte, N.C., Matthew (Melissa) Kress of Cuyahoga Falls; great-grandsons, Connor, Max, Jake, and Hudson; sister, Helen Madrigal; and sister-in-law, Tina Miller. He was preceded in death by his wife of 64 years, Donna M. (Imhoff) Miller; son, Eddie Miller; grandson, Michael Kress; brother, Al Miller; sister, Grace Ellis; brothers-in-law, Tom Ellis and Mondo Madrigal. Calling hours will be held on Sunday, February 10, 2019 at Heitger Funeral Home - Massillon Chapel, 639 1st St NE, from 1 pm to 4 pm. And on Monday, February 11th from 10 am to 11 am at Stanwood Community Church, 14715 Stanwood St SW.
A memorial service will follow the visitation at 11:00 am with Pastor Matt Ellington officiating. A private burial will be at Stanwood Cemetery. In lieu of flowers donations may be made to Community Hospice of Stark, Tuscarawas, and Wayne Counties, 716 Commercial Ave SW, New Philadelphia, OH 44663, or Tuslaw Lions Club, P. O. Box 273, Massillon, Ohio 44648-0273, or Stanwood Church Missions. Special thank yous to the caring staff at Community Hospice; Dr. Donald Zimmerman and staff; and the many friends and family for their cards, phone calls, and visits.